Jamie is the founder of the blog So Much Better With Age. She has been featured on HGTV and the Today show, as well as in Country Living and Better Homes & Gardens. She lives in Vancouver, Canada. Rustic and elegant French décor never goes out of style and with easy yet sophisticated accessories for your home, these 70 projects will transform your space and add that special touch to any room. 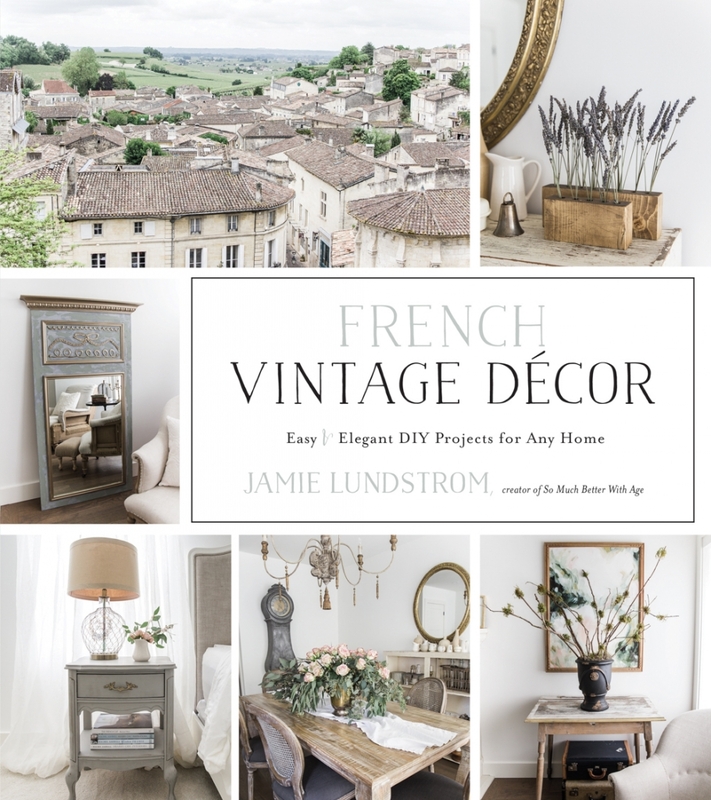 Jamie Lundstrom's projects use easy-to-find and recycled objects, as well as new materials, to bring her French vintage style into your life. Projects span every season and category, from sewing to painting and upholstery, including provincial antique baskets, a fantastique Trumeau mirror, a jolie gold leaf frame, boutique plaster of Paris-dipped flowers and a chic antique chair. Featuring simple step-by-step instructions with beautiful photos to help guide you, these projects can be created in just a few hours or less.